If you are a parent who stands behind your childs goal, PLEASE STOP this NOW! You think you are helping but you are not. alot of children feel pressured when their parent stands behind them, especially a parent who just yells! Now I know in some cases children who are very young or under confident will probably need you there... but please only shout positives!!!! DO NOT BE NEGATIVE. Otherwise you might not as well be there! Ideally, you should stand at the side of the pitch and shout instructions and encouragment! Remember the position of goalkeeper can be a stressfull place at the best of times, and with managers and team mates quick to blame the keeper... don't you add to this pressure! Over my 20 years a goalkeeper coach I have seen some very dedicated keepers, and some not so dedicated. But NOTHING like Adam Hope from Australia! He flew from Cairns to Sydney, which is a 3 hour flight just to be coached by Just4keepers Goalkeeper Coach Ron Tilsed. And this is not all, he flew home the same day!!!!! This is amazing to travel well OVER one 1000 miles in ONE DAY for goalkeeper training! At the end of the day, it is all down to being committed to chasing your dream and Adam certainly has all the dedication to give himself a chance of becoming a professional goalkeeper. Well Adam Hope certainly did more than average! Well done ADAM!!! I just thought I would share this inspiring story with you! Would you like FREE Goalkeeper Training in Nothampton area area? Just4keepers has helped hundreds and hundreds of young goalkeepers get to professional clubs over the past decade and with our very low fee package, why pay stupid high prices somwhere else? Dear grassroot goalkeepers, would you like FREE Goalkeeper Training in Greenwich or throughout the London area? Whether you are a manager or a parent who wants professional keeper coaching for your goalkeeper or even goalkeepers. This specialised GK training course is run by Just4keepers Goalkeeping training Schools which is now the largest Goalkeeping coaching schools in the world operating across the globe. 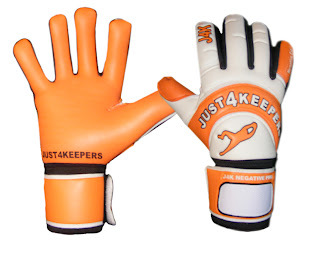 Just4keepers has helped hundreds of young goalkeepers get to professional soccer teams over the past 10 years. And with our low fee package, why pay silly high prices elsewhere? Just a quickie to see the new goalkeeper gloves for sale from Just4keepers. If you check them out at the website below, you will be able to get £10 off RRP for a limited time only. Please let me know what you think of this glove? Just4keepers 1999-2011. Powered by Blogger.